Our Personalized Keepsake Box will become your sister's personal treasure chest of memories. Be sure to share this beautifully Engraved Keepsake Box with all of your sisters. They all will love you for it. 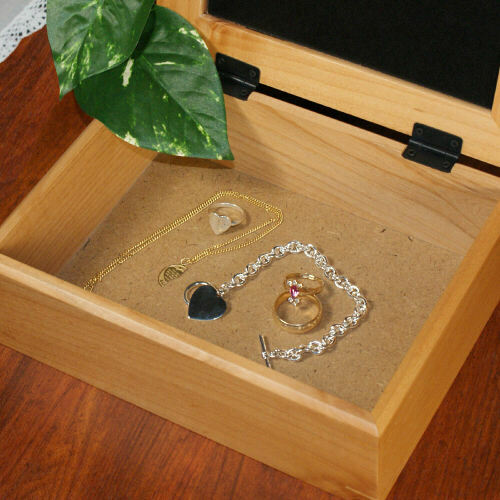 Each Personalized memory Box is made from beautiful oak wood measuring 8 1/8" L x 6 1/8" W x3 5/8" H. The Personalized Keepsake Box is perfect for holding your special mementos, such as personal letters from friends, precious jewelry or keepsakes. The attractive photo keepsake box will accommodate your personal 4" x 6" photo. This personalized wooden photo keepsake box includes FREE Personalization with up to 6 names. Photo keepsake box holds your personal 4 x 6 photo. I purchased this item as a gift for my sister's birthday. The box is perfect and I hope she loves it! I received my keepsake box quickly and was done professionally. I love it and hope my sister does too. I think they did a great job and am happy with the product. Thank you! 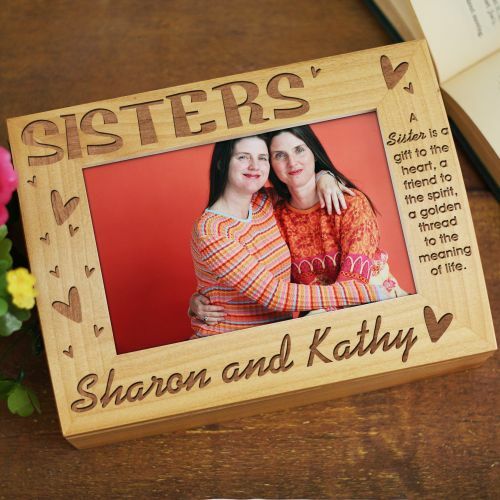 We carry an extensive line of Personalized Sister Gifts. Show your Sister how much you love her with our Personalized Sister Shirts & Sister Keepsakes. Shop GiftsForYouNow.com for all your Sister Gifts & Friendship Gifts!